BLUE PEN proudly announces completion of internship of Ms Kavita chaudhary. She has done graduation in B.Sc zoology Hons. From Daulat Ram College North campus university of Delhi.and she wants to do PG in Education n becme Director of education and social worker. Kavita belongs to a middle class family. Her father is a teacher. She wants to follow her father’s footsteps and make people’s life better. So it is her dream to do social chnge. Through social site she got to know abt the NGO, *BLUE PEN*. The very motive of the NGO *”No Child Should be left behind”* inspired her to work. She found a perfect platform which she was looking for. So she decided to join it. 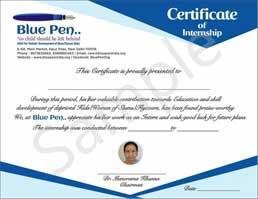 Being a part of the Blue Pen Team she says she got to learn so many things from Dr. Manorama Khanna founder of Blue pen and Sir Ranjan khanna and all the team members. After coming here she realized that the purpose of her life is to contribute in building a wonderful Nation by helping these children. One of the best thing when she celebrated her birthday with the flyovers kids. Kids hve spirited smiles on their faces which gave me eternal peace.. It was her best experience.She further mentions that Blue pen Ngo seems to become a major and influential part of these kids lives,their outlook towards things is now changing for good..
Friends,We all need to appreciate that there is no joy greater than “joy of giving”. While we r enjoying cosy homes in this winter and enjoy decent lifestyles, there r thousands of unfortunate deprived ones on streets, who don’t even have shelter and they are left with no option but to shiver while night without blanket. I would request all viewers to come forward and use distribution network of Blue Pen to donate New/Old items like Toys, Blankets for upcoming winters, Toys, Clothes, School Bags or other Daily utility items, for our Flyover/Slum kids/Women. Trust me-that’s best way of celebrating Birthday/Anniversaries of your and Dear ones. It will be great if Donor himself comes and donate by hand, else Blue Pen also provides facility of picking up this stuff from your home and distribute it on your behalf. Yesterday was special day as one of our volunteers,young n energetic Kavita Chowdhry celebrated her Birthday with Flyover/Slum kids and distributed birthday cake. 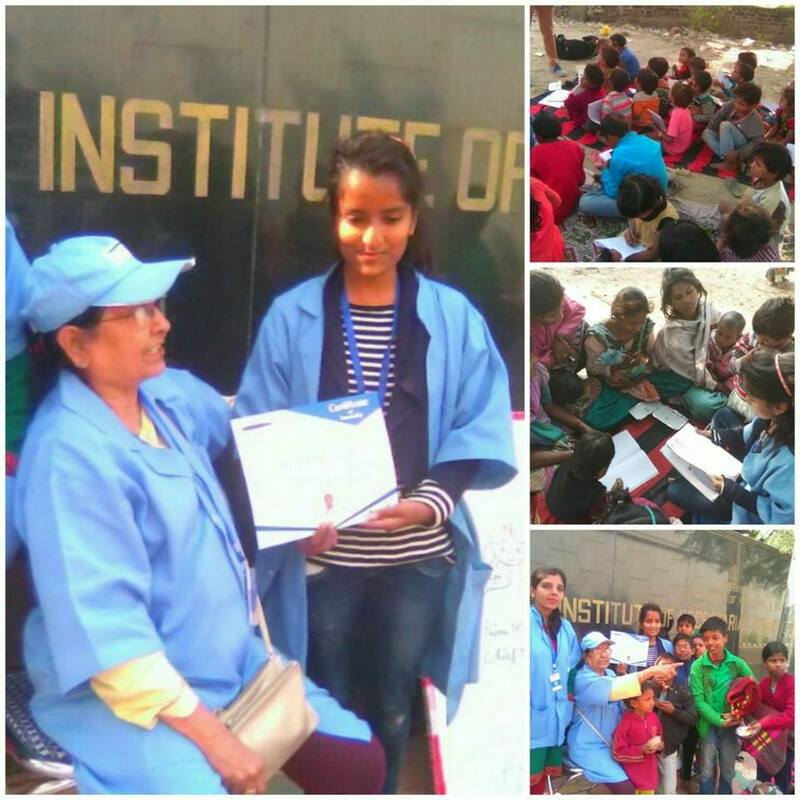 Further, as discussed last time, Blue Pen volunteers have now decided to celebrate Children’s day (14th Nov) in unique way. Yesterday, Science competition was organised for kids of all age groups in various Flyovers/Slums of all over Delhi.Talented kids in each group from participating kids from all Flyovers/Slums were selected. TEAM BLUE PEN is organising Visit of these meritorious kids to ‘Nehru Planetorium’ tomorrow, on Children’s Day (14th November). This concept was first mooted by our young and energetic volunteer Jai Khatri, with able assistance of Mr rajan, saurabh, rahul etc. We are very sure that tomorrows trip will inspire more and more Flyover/Slum kids to study harder. C. HOW VIEWERS CAN CONTRIBUTE / PARTICIPATE IN BLUE PEN TO HELP ‘FLYOVER KIDS’? C-1. VOLUNTEERING EVERY SUNDAY: Best way to contribute to this noble cause for these deprived kids/women, is to participate in our 1Hr teaching sessions at different Flyovers every Sunday.Every new volunteer enables us to cover 20 new slum kids. C-2. “MEMORIAL SCHOLARSHIP PROGRAM in name of your Beloved ones” (15000/Yr):- Our viewers can contact us to announce “Memorial Scholarship in memory of their own parents/Grand parents/beloved ones” for selected meritorious kid of Flyovers/Slums, which will be popularised by us on various media platforms as well as our Website. C-3. SPONSOR A FLYOVER (10,000/month):- This will cover cost of Food & Education of all kids of a particular Flyover for one month.Name of Donor will be flashed on our website as well as publicised on various social media platforms. C-4. SPONSOR-A-SLUM (20,000/Month):- This will cover cost of Food/Education of all kids at particular slum like Sangam Vihar/Tughlaqabad etc, whose no.of kids far more than flyover. C-5. CELEBRATE BIRTHDAY OF YOUR BELOVED ONE WITH FLYOVER KIDS (Cost: Actual Receipt of McDonald+1000/-as Trust charges):- McDonald receipt shall be given to Donor. It is desirable that at least one member of Donor’s family is present during celebration with flyover kids. C-7. INTERNSHIP PROGRAM:- It is for Students of all Levels of Academics. This Certificate will be important for International/Domestic Admissions/Jobs for youngsters, as it certifies their commitment towards Social Causes. This Two month Internship (Sundays only) also helps in connecting younger generation with ‘Real India.